EATC is an international athletics 3-day competition organised by European Athletics, where the best European athletes compete within their national teams for the overall win on a points system. 12 best countries qualified to the EATC over 4 lower leagues. The first edition took place in 2009 in Portugal, the last edition in France in 2017, and is continued on a 2 year basis. 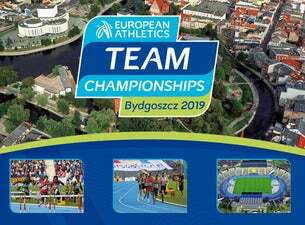 In August 2019 on Zawisza Stadium in Bydgoszcz the following national teams will participate (listed by the results from 2017): Germany, Poland, France, UK, Spain, Ukraine, Italy, Czechia, Sweden, Finland, Switzerland.